As a beginner in programming it can be difficult for you to choose the best C books to start your C programming journey. Selecting good book is very crucial part of learning. To make your task easier, in this article I have shared some best C books for beginners. These books are highly recommended for those who do not have any pre knowledge in programming. 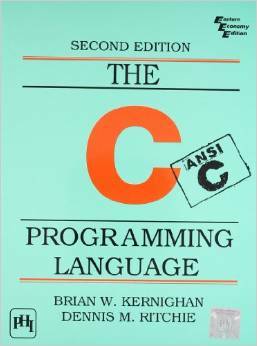 The C Programming Language is written by Brian W. Kernighan and Dennis M. Ritchie. 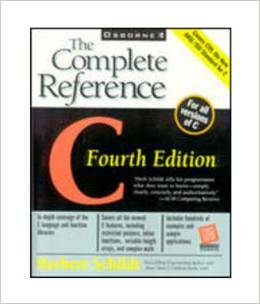 This book is considered to be the best C programming book because it is written by inventors of C language. The book explains the concept of C language in an easy manner and covers every concept in detail. This book will be really helpful for people looking to study computer concepts and C programming. C: The Complete Reference is written by Herbert Schildt. It is a popular book among all other books written by Herbert Schildt. By reading it you’ll get in-depth coverage of the C language as well as all new features of C. The book also includes hundreds of examples and sample applications. Some other popular programming books written by Herbert Schildt are Java – The Complete Reference and Java – A Beginners Guide. 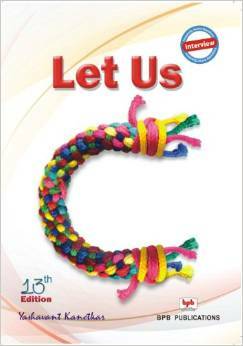 Let Us C is written by Yashavant Kanetkar. He is a well know and popular author in India. This is another book that helped me to clear my C programming concepts. The best part of the book is, there are so many examples at the end of each chapter that really helps in improving C skills. 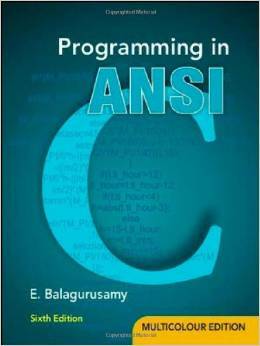 Let Us C is another best selling and popular C programming book in India. Head First C is written by David Griffiths. 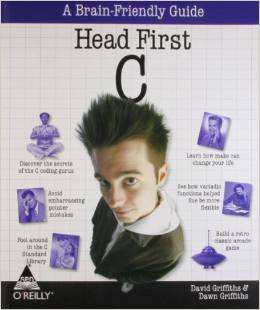 Head First C provides a complete learning experience for C language and structured imperative programming. The book helps you understand how to be a great programmer. You will learn basics as well as advanced topics in easy manner with good programming examples. These are some best C books that I have shared with you. If you know about any other popular and good C programming book then please mention it by commenting below. I will surely add it to this list. It great initiative for the student they belong backword society. WTF, Do you mean by “Backword Society”? May be he meant “Economically” backward -> those who can’t afford (expensive) college degrees. That’s a big MAY BE. I’d recommend beginning programming with c for dummies by Dan Gookin. K&R is completely outdated and harmful reading in the year 2017. It is filled with factual errors, reliance on poorly-specified behavior and typos. “Let us C” is also reputed to have many factual errors, although I haven’t read it (because of its poor reputation). i’m currently in first year of Mechatronics Engineering. i’m having COMPUTER PROGRAMMING as my main subject. My problem is that i really dont know anything about programming except the first hello world program, and during my higher secondary days i chose P.E(Physical Education) as my elective between PE and Computer. so my problem is i am a complete noob here but when i see anything related to programming i get fascinated,also i want to really learn everything related to it. Right now we are learning Basic C language(ANSI C) from our syllabus. the help i want is any material from which i can clear my base and learn perfectly. please help and suggest solutions according to my scenario. 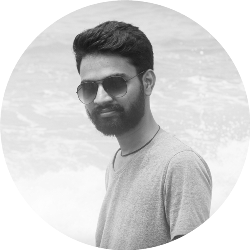 Below are some awesome resources created by me which will help you to learn C.
You can contact me at sareneeru94@gmail.com if you need any kind of help regarding programming. TCPL explains nice use cases of various C programming constructs like when to use macros, global variables and so on. Also has relevant examples and exercises. I wouldn’t recommend it to a beginner who wants to learn programming. Head First C -> Good if you don’t know how to program. It explains make, data streams, threads etc with intuitive pictures and examples. I would suggest this book to people who have no or very limited knowledge or programming. Hello! Sir I have pass out 10th and now am the going through the 3rd yrs of I.Sc due to failure in 2017 I.Sc examination. So now if I want to be the best programmer what should I have to do. From where and how I should start to be myself as a programmer. And from where the study of programmer must have to be begins. Or I should wait to complete to my 12th board exam if necessary otherwise I want to quit it. So it’s my humble request for you to please provide me your appropriate advice so that I may begin to earn quickly as soon as possible because I have faced too much difficulty in my life and now I don’t want it to happen same with my brother and sister. Sorry if I have got emotional or written too much. Hello Rajeev, connect with me on facebook at https://www.facebook.com/Sareneeru94. I will surely help you. Don’t download this book(The C Programming Language) this book is the toughest of all the books enlisted here . this is very nice website .